If you’re searching for coconut cream pie in Seattle, there’s a good chance you’ll end up at Dahlia Bakery. Located in Belltown and owned by chef/restaurateur Tom Douglas, Dahlia Bakery (2001 4th Ave. — next to Dahlia Lounge) offers breakfast, lunch, artisan bread, and desserts, but the shop’s Triple Coconut Cream Pie is their specialty. The first thing you see on the Dahlia Bakery website is a slice of coconut cream pie. One look at the bakery’s Twitter account and the profile begins with: “Home to the Triple Coconut Cream Pie…” It’s obviously their pride and joy. 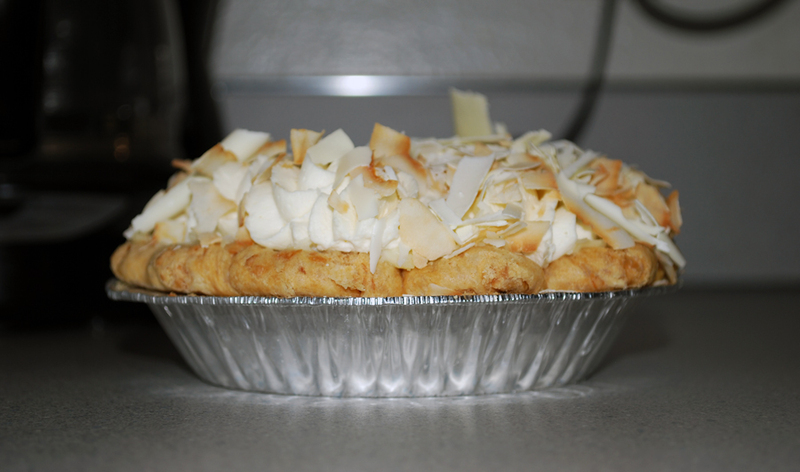 Dahlia Bakery offers its coconut cream pie in several different shapes, sizes, and prices. A full pie (serves 6-8) is $35; a baby pie (serves 2-4) is $19, a slice is $6, and a pie bite (which is basically a shot glass loaded with coconut cream pie) is $2.50. Tove and I recently tried our first Triple Coconut Cream Pie from Dahlia Bakery. 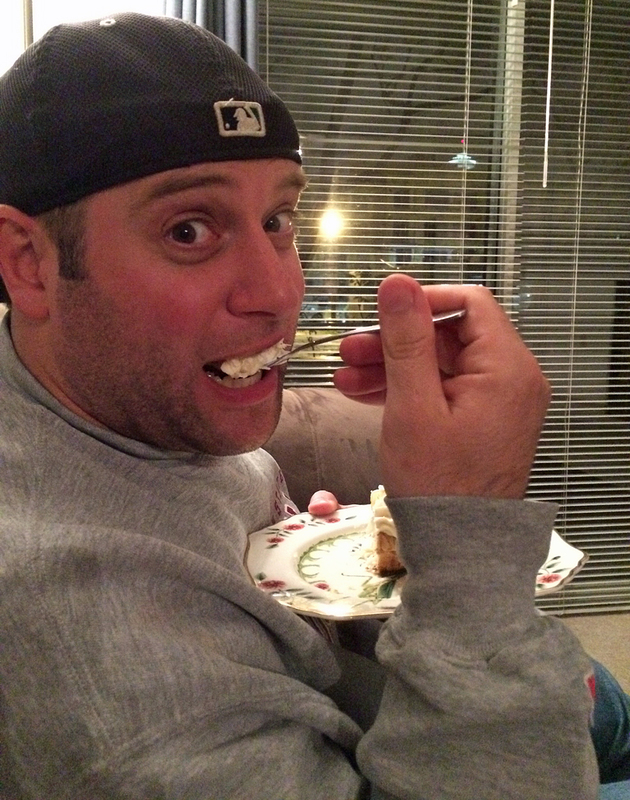 We bought a baby pie for National Coconut Cream Pie Day (celebrated every year on May 8th). The pie was fresh, delicious, and filled with coconut goodness. It was exactly what we hoped it would be. 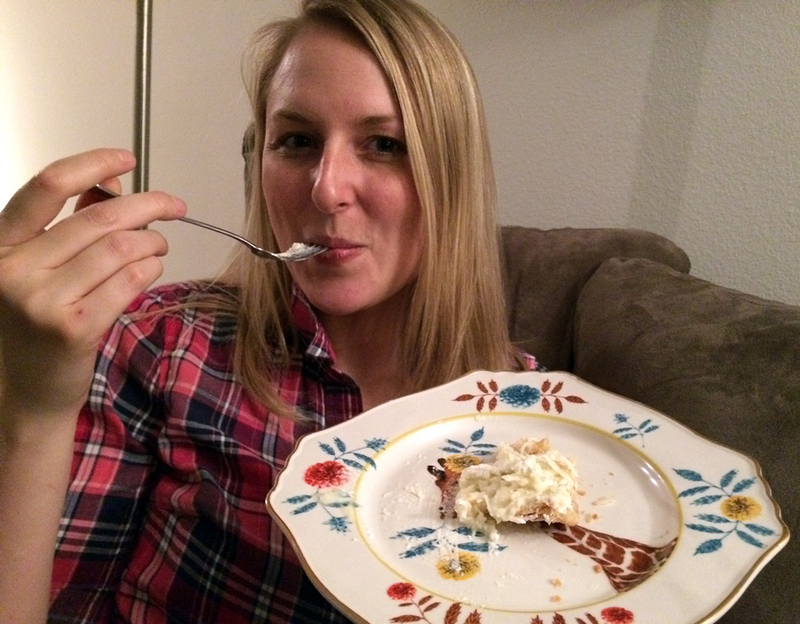 Here’s my piece of pie…I mean…advice: If you’re looking for coconut cream pie in Seattle –don’t miss Dahlia Bakery. 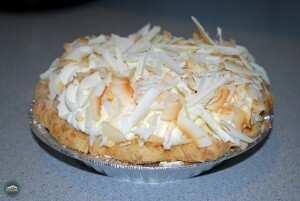 Have you ever tried the Dahlia Bakery coconut cream pie? What did you think of it? We’d love to hear from you. Leave a comment below or connect with us on Twitter, Facebook, and Google+. Don’t forget to also check out Seattle Bloggers for more cool places to eat, drink, and experience in the Emerald City.